TO: Rudolph Chamber of Commerce. How’s this for a draft of the press release, folks? July means making sandcastles on the beach, diving into the lake or relaxing around the pool. Hamburgers and ice cream and iced coffee. Christmas means Santa Claus and parades, holiday decorations, gingerbread and hot chocolate. Why not combine the best of both worlds with a summer break in #AmericasChristmasTown? Santa will be arriving on Saturday July 30 by boat. And the whole town will be out to welcome him, with a good old-fashioned Santa Claus parade. On the water. Our Santa Claus liaison officer, Noel Wilkinson, has informed us that Santa will set up his beach towel and umbrella at the town’s beach. He’ll be accompanied by Mrs. Claus, a team of Elves, and Head Toy Maker. The Head Toy Maker will be making notes, kids, so be sure and made time to talk to Santa. While the little ones are at the beach and lining up to meet Santa, stop in at Mrs. Claus’s Treasures on Jingle Bell Lane to get a start on your gift shopping. Maybe pick up some fine linens or festive dishes for the holiday table. After the parade and a day in the hot sun and cool lake water, head into town and visit some of our fabulous restaurants. Victoria’s Bake Shoppe, The Elves Lunch Box, Cranberry Coffee Bar, and a Touch Of Holly will be combining their special Christmas treats with the best in fresh local seasonal ingredients. #AmericasChristmasTown: the place to be this summer! Note to advertising team: Don’t use so many hashtags! DON’T mention Noel Wilkinson’s name!! And why does Merry Wilkinson’s store get so much attention!!! Vicki is giving away a copy of the first Year Round Christmas book, Rest Ye Murdered Gentlemen, to one lucky winner. Please leave a comment to enter. This book sounds like a great read! Thank you for the chance! I love Christmas in July! This book sounds like a great read. Thank you for this chance! I love Christmas Books and this one looks wonderful. I like the sound of a Santa Parade and love Christmas food. Thank you for the chance. I haven't had a chance to try this series yet. Thank you! Thank you! Thank you! I love Christmas and would love to read your books. I can't wait! I love the Christma theme in a town called Rudolph! Thanks for the chance to win! So sorry Carol but the expense of postage is just too much for me. Thank you for asking. Sounds like a great series. Thanks for the chance to win a copy. Where are you? Your local store should be able to order it with no trouble. Contact me directly if you need help. I love Christmas in July! Always watch the Hallmark movies and read some themed books. I would like to visit Rudolph. Thanks for the giveaway. I love Mysteries and Christmas stories, and this one sounds delightful. Thank you for this fabulous chance. I love the title and cover. Happy reading and writing. Christmas is the best time of the year! I'm always ready for Christmas! Who doesn't love Christmas in July. Cooling off in the heat of summer. Memories of snow and fresh, crisp cool air. Love "Christmas in July"! Thanks for the chance to win the first book in the series, always the best place to start! 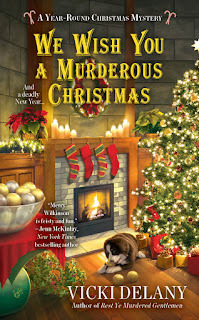 I love Christmas mysteries - I can't wait to start on this series. I love Christmas anytime of year! thanks for the chance! I'll be waiting for this book to appear on the bookstore shelves. We once lived in a town that had a 'Christmas Year Around' store. We've been gone nearly 14 years, and altho I know it was still there for a few years after we left, I wonder if it's still there. One could, and should, live the Christmas experience & feeling all year. I love Christmas all year round! I love the idea of a Christmas Town, whenever I'm on vacation and there's a Christmas store, I know that I will be in it at some point. Love Christmas stories! This sounds like a fun read. Thanks everyone for your comments. Sounds like we all love Christmas, no matter when it falls. I love Christmas and especially mysteries with a Christmas setting. I can't wait for the season to get here. I was almost ready to pack a bag and head to this location to shop!!! I love the Christmas shops and shopping year round is the only way that I can be ready for the actual Christmas holiday. This book sounds great and I cannot believe that I missed out on reading it. Thank you for the delightful blog post. Vicki sounds like an awesome read. Will have tp put on my to read list. When will it be released? Loving the Christmas in July theme! :) Thank you for this awesome giveaway. Merry Christmas in July. This looks like an amazing book. I can read about Christmas any time of the year. Can't wait to read. With all of this horrid summer heat we're experiencing, reading about Christmas would be a welcome relief! Thank you for a chance to win. I do love any holiday themed murder. It always adds such zest to a holiday season. I'd love to add this to my home library also. I love the idea of Christmas year round. When I was little I went to the North Pole Village...located in the Adirondacks region of NY. I especially love reading and thinking about cool in this nasty heat. Bring on Christmas! North Pole Village sounds interesting for sure. Rest Ye Murdered Gentlemen sounds delightful. Thank you for this chance. I love Christmas & Christmas reads. I love thinking about Christmas in July...I don't have to worry about presents or groceries for the annual Eve dinner. I can think out how wonderful the tree smells, ornament twinkle, and lights flash. 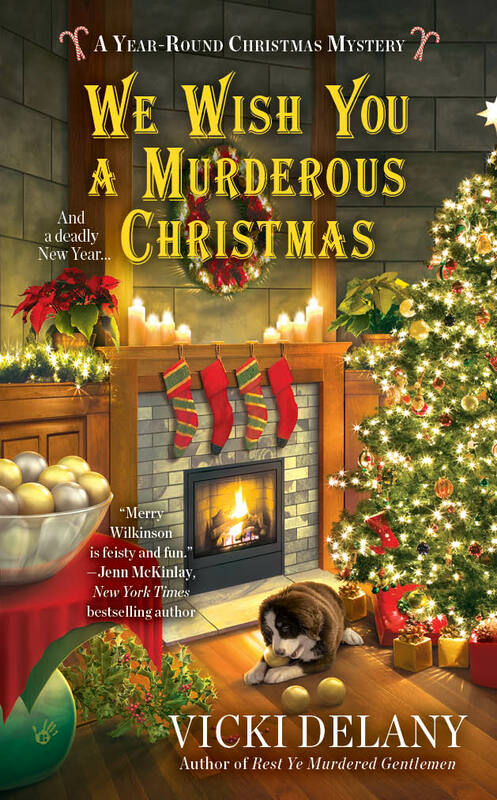 I love Christmas, and a 'Year Round Christmas Mystery' is perfect! All the pleasure and none of the work! What a great concept. I love Christmas and especially Christmas mysteries. Thanks for a chance to win. I love holiday mysteries. This would be so nice to win. Nothing like a little Christmas in July! Christmas in July sounds wonderful, especially since it's going to get to 100 here today! My prescription is to stay indoors and read a good book! 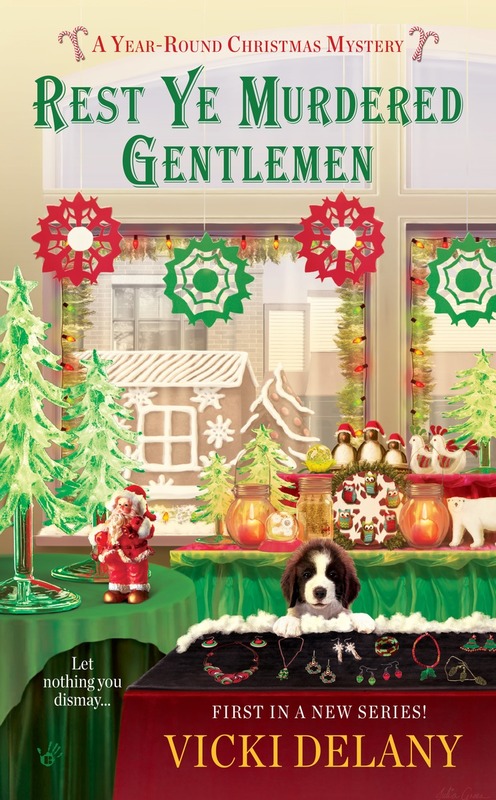 I love Christmas themed mysteries and can't wait to read this book! Doesn't the cover get you in the holiday mood? Christmas in July! Love it! I love reading Christmas mysteries! Thanks for the chance! This sounds like a fun mystery, one that I missed last year! Would love to read it; thank you for the chance to win!